While speaking at the 31st convocation of the University of Port Harcourt (UNIPORT) yesterday, Pres. Buhari gave vice chancellors an order to expel students with less than 0.5 Cumulative Grade Point Average (CGPA) from next academic session. “We must stop to continue housing adventurers, who have no business remaining in the universities beyond the time specified for their studies in the universities. In that wise, it is being proposed that at the end of this academic year, any student with less than 0.5 CGPA should cease to be a student of the university and should be shown the way out. 0 Response to "‘Expel Students With Less Than 0.5CGPA’ – Pres. 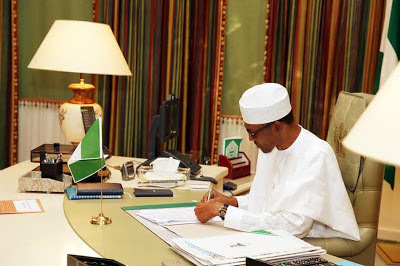 Buhari Instructs VCs"